To catch the most pre-spawn walleyes in clear-water natural lakes “Up North”, cast Rapala® Shad Dancers® on Sufix® Nanobraid® where water temps remain unseasonably cool. Shallow walleyes in clear water are notoriously spooky, so making long casts with moving baits often out-produces vertically jigging live bait or trolling this time of year. One of the best baits to pitch to actively feeding, (but spooky) pre-spawn, shallow walleyes is a Rapala Shad Dancer. Swimming with a silent but aggressive, hard-thumping and sweeping tail action, the Shad Dancer offers the excitement of a Rapala Tail Dancer in a shad-profile bait. 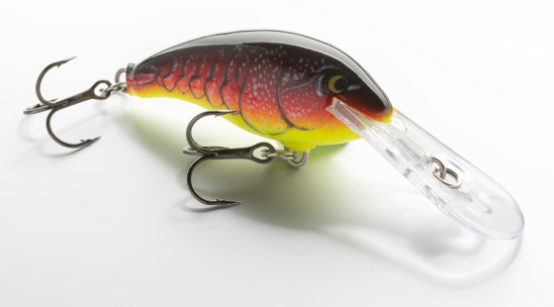 It features a tough balsa body that dives 7 to 10 feet whether cast or trolled. And its triggering action rivals that of the legendary Shad Rap, but with the added ability to fly farther and dive deeper. For wind-dependent walleye bites, that’s a game-changer. Shad Dancers twitch, quiver and wobble with inimitable life-like action on the retrieve because they’re made from balsa wood, Rapala’s signature material. It’s what makes them so much better at catching fish than copycat baits. “That’s one thing that separates Rapala baits from all other competitors,” says award-winning tournament angler Randall Tharp. Pause when retrieving a Shad Dancer to witness the real magic of its balsa construction. 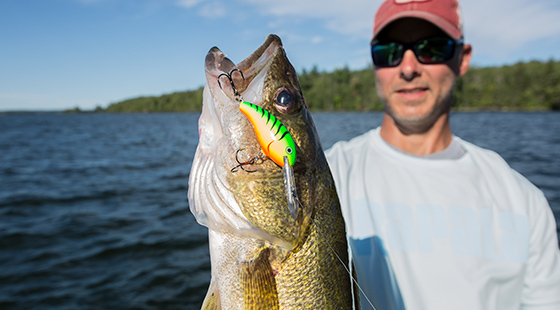 “When you stop the retrieve, the bait starts floating up,” explains Minnesota Fishing Hall of Famer Mark Fisher, chief lure designer at Rapala USA. Shad Dancers measure 2 inches, weigh 1/4 oz. and come armed with two No. 6 VMC® Black Nickel Round Bend Hooks. 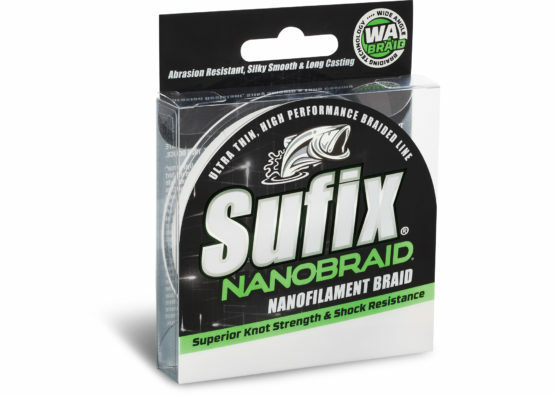 To make the longest possible casts with a Shad Dancer, tie it on to some Sufix Nanobraid. A long-casting, super-sensitive micro-braid that increases hook-up ratios, Nanobriad works well in wind and doesn’t require a special knot to tie. Made from 100 percent HMPE fibers, it boasts both an ultra-thin diameter and extreme sensitivity. Because Nanobraid is “ridiculously thin,” Holst says, it creates less wind resistance. Ten-pound-test Nanobraid measures only 3/500th of an inch in diameter; 2-pound test measures a mere 1/1000th of an inch. That also makes it ultra-sensitive for superior bite detection and practically invisible in water. For best results, tie a Sufix fluorocarbon leader to a Nanobraid main line with a uni-to-unit knot. Using Nanobraid does not require learning a new, complicated knot. Just about any knot that you are used to using with regular braid you can use with Nanobraid. what kind of a casting rod should I buy to best cast the lightweight 1/4 oz shad dancer? Take a look at a longer Medium spinning outfit! 7′-8′. That paired with Sufix Nano Braid will really whip it out there!